Alere Technologies GmbH is developing novel point of care diagnostic platforms that move diagnostic testing from the laboratory to the patient. We are committed to establish a testing platform that provides equivalent if not better performance at the point of care if compared to a laboratory test. In addition, we provide unique microarray-based platforms enabling the development of powerful and competitive multiparameter tests for professional lab diagnostics. ALS is a specialist for the development of innovative technological solutions for cell biology research and molecular biology. We lift cell culture to a new level of choice and control on the leading edge in cell biology, cell therapy research, regenerative medicine and drug discovery. With automation and standardization of laborious manual procedures, ALS supports science and research for more efficiency and the creation of new methods for the science of tomorrow. Systems Automated systems and devices developed and built for enabling and improving laborious processes through advanced automation. Key products are the CellCelector cell- and colony picking system, Incubator FlowBox and the TheOnyx liquid handling system. OEM High-quality manufacturing and quality assurance of systems and components for third parties in the field of medical and automation solutions as well as laboratory devices. Components High-precision linear drive, positioning and microscope stage components. Service Technical, application and repair services for ALS products as well as for other companies’ laboratory equipment products. Our mission is to be a valuable partner for scientists, researchers and laboratory equipment manufacturers around the globe helping them through our products and services to shape a better future. ALS was founded in April 2011 by Gerd Bornmann and Jens Eberhardt who are also the only owners and managing directors of the company. The two are the original inventors of the CellCelector which they invented together in 2001 and have been continually developing further since then in order to meet advanced application needs and to extend the feature range. The company avateramedical develops, manufactures and distributes systems and components of sensors, robotics and automation. Our product portfolio includes nano 3d printer, precise measurement systems and bionic inspired assistance robotics. Our customers include the world’s leading industrial companies and research institutions. The relevant market segments for avateramedical are in the life sciences sector, especially in medical and laboratory equipment, electrical and electronics industry and basic research. BioControl Jena is your service company for analysing and optimizing bio data and bio processes, bioinformatics and systems biology, statistics (including consulting) and visualization. For solving our clients' problems adequately we develop mathematical methods and implement them into software dependent on the requirements. We support our customers' enterprises by design of experiments (including sample size estimation), data analysis (pre-processing, statistics, visualization) and data management (e.g. databases). Also, we are experienced considerably in modelling and optimization of bio processes. BLINK AG is developing a new diagnostic platform. The diagnostic tests are suitable for decentralized application (point-of-care). Other diagnostics companies and laboratory service providers can transfer their own applications to the BLINK product platform. The aim is to dramatically shorten the development time for diagnostic tests by providing a uniform and versatile product platform for development and application by external partners. bm|t is the premier partner for investments in Thuringia. We pursue a return-oriented approach to financing innovation and promoting economic growth by investing in promising entrepreneur teams and businesses in the Free State of Thuringia. In this context, bm|t is the ideal partner for investment and consultation across all funding stages, from start-up through growth capital, to IPOs or buyouts. Extensive expertise are available especially in the sectors of Life Science, Micro- and Optoelectronics, Electronics, IT/Media, Automotive, Engineering and Automation. Homepage The Medical Technology activities of ZEISS are bundled under the umbrella of the TecDAX-listed company Carl Zeiss Meditec AG. The main activities of Carl Zeiss Meditec AG are located in the field of Ophthalmology and Microsurgery. In Ophthalmology, the Company offers mainly products and solutions for the diagnosis and treatment of eye diseases, as well as systems and consumables for cataract, retinal and refractive surgery. In Microsurgery the Carl Zeiss Meditec Group provides visualization solutions for minimally invasive surgical treatments. As a non-profit organization, CiS Forschungsinstitut für Mikrosensorik GmbH is an industry-oriented research institution focused on microsensors, microsystem technology and silicon detectors. Providing mainly application-oriented research and development, CiS serves industrial enterprises and the public sector alike. Built on more than 20 years of "competence in silicon", our expertise extends from research to development to series production. The CiS Forschungsinstitut is an institute affiliated to the Technical University of Ilmenau. EPSa Elektronik und Präzisionsbau Saalfeld GmbH was formed in the early 1990s from the Electronics Division of the traditional, world-famous company Jenoptik Carl Zeiss Jena GmbH. Our roots therefore reach right back to the founding of the Optische Anstalt Saalfeld in 1911. Over 200 skilled employees now work at our sites in Saalfeld and Jena. The highly motivated teams make us a well-connected and established E2MS (electronic engineering and manufacturing services) systems supplier with many years of experience in the production of precise electro-mechanical and electronic components and complete systems. We offer the entire spectrum of production tasks in the area of electronics manufacturing (circuit board assembly, system assembly, washing/protective coating/casting, clean room production, mechanical processing, etc.). EPSa is certified according to EN ISO 13485 + AC (manufacture and sales of medical product components). We are pleased to implement services like FDA-Certifications etc. for our customers as their backbone. EVER Pharma Jena GmbH produces and manufactures high-quality sterile medicinal products as part of the global EVER Pharma group. In addition, it also manufactures ampoules, vials, syringes and innovative implants for third parties. Comprehensive full-service solutions for the manufacture and testing of sterile dosage forms as well as support in development and dossier creation round up the comprehensive range of the pharmaceutical service provider. As a global technical service provider, EXCO provides quality assurance measures, plans and realizes test, manufacturing and production processes and develops software and system solutions. Founded in 2004, eZono AG is a different kind of ultrasound company, one that empowers non-traditional ultrasound users to incorporate sonography in their daily work. This enables our customers to improve clinical outcomes, enhance patient satisfaction and in particular lower cost. As a result we bring not only affordable portable sonography technology to specific applications but also makes it easy for instance for anesthetists to operate – reducing drastically their learning effort. Flores medical GmbH is a manufacturer and distributor of inhalation and respiratory therapy devices. with an emphasis on ultrasonic fogging. The FZMB is a private commercially-related research institute which operates as a link between academic research and commercial application-oriented research and development. The FZMB has an interdisciplinary set-up and specialises in working on complex issues from the application and technology fields: medicine/veterinary medicine + biotechnology + device construction. The Fraunhofer Institute for Applied Optics and Precision Engineering IOF develops innovative optical systems to control light from the generation to the application. Our service range covers the entire photonic process chain from optomechanical and optoelectronic system design to the manufacturing of customized solutions and prototypes. The institute works in the five business fields of Optical Components and Systems, Precision Engineering Components and Systems, Functional Surfaces and Layers, Photonic Sensors and Measuring Systems and Laser Technology. Aging and infection research are outstanding topics of the strategic profile "Life" of the University of Jena. Through interdisciplinary cooperation, this focus is closely linked to cross-cutting topics in photonics, optics, pharmacy, but also the development of new materials. These research topics contribute to the diagnosis, therapy and prevention of diseases. Aspects of social and economic health management and the development of IT solutions represent further links for cooperation. The University of Jena is very interested in initiating new research projects with partners and in transferring of research results into the economy. We find experts for your specific questions and support you in identifying and enhancing innovative potentials and exploiting research results successfully through licensing, sales and intensive support of start-up projects. Geratherm Medical is an internationally aligned medical technology company with the business divisions of Health Care Diagnostics, Medical Warming Systems, Cardio/Stroke and Respiratory. We provide our customers/patients with high-quality products ranging from thermometers to complex warming systems for operations and emergency use. In the area of Cardio, we concentrate on developing products for detecting atrial fibrillation in order to prevent strokes. The Respiratory division develops, produces and distributes products for measuring lung function. HS DOMS INTERNATIONAL is a leading German manufacturer of modern Ophthalmic examination equipment for both refraction and diagnostics. These devices are actively used in Ophthalmologists offices and clinics as well as by Opticians and Optometrists. HS DOMS INTERNATIONAL has dedicated its knowledge and expertise into the development, manufacture and sales of internally developed, innovative and high quality products for Ophthalmology, as can be seen on our website. The retinal microcirculation is a perfect window to the body. Imedos is using ocular transparency to analyze the structure and function of retinal vessels in humans and animal models. These results serve as valuable biomarkers in various medical disciplines. Important cohort studies could prove the relevance and clinical use of the biomarkers gained from Retinal Vessel Analysis. IMMS serves small and medium-sized industrial enterprises through preliminary research. It acts as their strategic partner in the development of microelectronic and mechatronic products and of systems technology. IMMS' life science focus is the research and development of application-specific integrated electronic circuits (ASICs) and sensor systems for quantitative rapid tests and in-vitro-diagnosis and for the monitoring of therapeutic progress. The biotechnological know-how of its partners is the starting point for joint development of customised systems. Homepage The industrial research association INNOVENT conducts analytical, research and development work in the fields of surface engineering, magnetic and optical systems and biomaterials for more than 20 years. The institute in Jena has approx. 150 employees, manages various networks and organises scientific conferences with experts throughout Germany. Among these expert groups are the user forum Atmospheric Pressure Plasma (ak-adp), the expert conference on surface engineering ThGOT and Inn-O-Kultur. INNOVENT is a founding member of the German industrial research community Konrad Zuse. 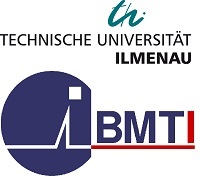 Homepage The Institute for Bioprocessing and Analytical Measurement Techniques (iba) is a non-university research institute of the Free State of Thuringia and affiliated institute of the Technical University of Ilmenau. In the context of our research profile “Biotechniques at Interfaces” we deal with topics of applied preliminary research for technical systems for life sciences. Study, modification, and utilization of interfaces and interfacial effects aim for optimization of methods, processes, devices, equipment and products for biotechnology, medicine and adjacent disciplines. Besides competences in special functionalization methods fundamentals are especially the fast broadband bio-impedance spectroscopy and drop based microfluidics. The aim of the company is to develop, manufacture and sell innovative, medical products, preferably implants for the specialist medical areas of accident surgery/orthopaedics. In conjunction with medical doctors, who make the company familiar with problems from their daily practice, we look for solutions and work on implementing them. The aim of our efforts is to improve medical care for injured or sick patients by using all the scientific and technical resources available to us. intros is a family-run medium-sized business, part of Germany's famed Mittelstand, situated in Thuringia's Eichfeld region and founded in 1998 at Rosenhof, near the spa town of Heilbad Heiligenstadt. This is where the name originally comes from – innovative Technik Rosenhof. intros has its own development and production facility and has been distributing high-quality lasers for aesthetic medicine applications since its founding in a wide variety of medical fields. Other areas in which the company prominently operates are service and training. The technology company JenControl meet the growing customer requirements for medical process measurement and control with innovative developments in the areas of scientific instruments, sensors, optical high-end measurement technology and software development. Homepage JEN-OPHTHALMO is a highly experienced, innovative and creative company within the ophthalmic industry. It was founded in 1991 as an ophthalmological specialist in Jena. We are a long-standing partner to eye specialists, ophthalmic opticians, ophthalmologists, ophthalmic outpatient clinics and training facilities. We are the manufacturer of the refraction unit "MODULA", dealer for all market-available diagnostic devices and also offer additional technical service for already existing devices and units. We give great importance to a comprehensive planning which is individually adapted to the requirements of each of our customers. Homepage Jenoptik offers system and application solutions for the healthcare and life science industries for future-oriented biomedical devices and thus supports modern diagnostic applications and therapeutic approaches. For worldwide leading providers in the field of NextGen DNA analysis and point-of-care blood glucose measurement Jenoptik develops e.g. customer-specific OEM systems. customer-specific OEM systems. For digital pathology and bioimaging applications, Jenoptik and its partners are developing innovative solutions for the medical technology challenges of the future. 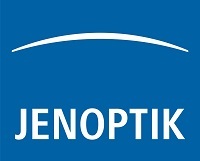 Jenoptik is also the top supplier for Laser beam sources for ophthalmology, which are used in both diagnostics and therapy. These are used in optical coherence tomography (OCT), glaucoma treatment and retinal diseases. Disposables for LASIK surgery round off Jenoptik's portfolio in the field of ophthalmology. For dermatological and aesthetic treatments, such as tattoo, pigmentation and hair removal as well as wrinkle and acne treatment, are these beam sources have become indispensable as well. To this end Jenoptik is bundling its core competencies and its broad range of technological laser- and LED-based beam sources, optics, sensors, camera systems and digital cameras. Image processing and system integration to OEM system solutions and products of highest quality and reliability, meet the strict approval criteria. For more than half a century, we have been concentrating all our energy on the know-how in the developing and in the production of high-perform electromagnets and solenoid valves for many industrial sectors. With our portfolio we offer a nearly endless variety in applications. Everywhere hydraulics, pneumatics or other media are applied to work, drive and control solutions are offered on the basis of magnetic technology. Our customers all over the world have been relying on the excellent quality from Kern Technik. Maikowski & Ninnemann is a patent attorney firm with offices in Berlin, Leipzig and Munich and a tradition of more than 30 years in the area of intellectual property law. We counsel and support you for an efficient protection of your intellectual property - from the application to the enforcement, in Germany, in Europe and everywhere in the world. Was founded in 1996 and specializes in the production of high-precision parts of turning and milling. With a versatile and modern machinery we offer you optimal solutions for your requirements in high-quality. Further processing and surface refinement are also possible - we have a network of expertise. Our portfolio range from material procurement to to delivery of the finished product. We are one of Germany's leading engineering service providers. Close and trusting cooperation with each client is our basis for a goal-orientated approach – at the end of which is the joint development of customised solutions. We give you the freedom to let your visions become reality. We continue to develop continuously to ensure that we can provide you with individual engineering solutions in the future too. Homepage The individual enterprise MOJE Keramik-Implantate was founded by Hans-Jürgen Moje in July 1994. The foundation and operating field is the development and manufacture of implants of zirconium ceramics for wrist, toes and finger joints and for the dental field. The concentration applies to the use of small bone diameters in highly loaded areas, for which implant solutions were previously not available. The product development is carried out in a dialogue with the doctors and patients. Our employees bring many years of experience in the field of technical ceramics to implant production. 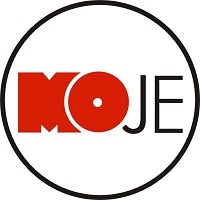 Worldwide, clinics and doctors use products of MOJE Keramik-Implantate successfully. Development and production are based on 14 submitted patents and samples. Homepage NTI-Kahla is a German mid-sized company that specializes in the production of rotary dental instruments. For more than 20 years, dental professionals have appreciated the quality of our products in their daily work. New innovative products have been introduced such as the EasyChamfer burs – diamonds which allow optimal deep chamfer preparations – or the Z-cut diamonds for processing zirconia just to name two successful examples. NTI continuously strives to offer new rotary dental solutions to facilitate the everyday work. Founded in Germany in 2003, Occlutech has developed into one of the world's leading companies in structural heart disease over the past decade, developing and supplying ASD, PFO, LAA, PLD and PDA occluders, accessories and a range of innovative special cardiac implant products to more than 80 countries around the world. With over 50.000 implants performed Occlutech is active through its own sales force in Germany, the UK, Italy, France and Scandinavia and through a strong network of distribution partners in the rest of the world. Occlutech is driven by a dedication to innovation and quality. Many cancers are detected at late stage: screening methods are insufficient or not available, due to the lack of suitable markers. oncgnostics develops, based on proprietary epigenetic biomarkers (cancer-specific DNA methylation markers) highly reliable molecular in vitro diagnostic (IVD) tests for screening, follow-up care and therapeutic decisions in cancer diagnostics. Redwave Medical is a manufacturer of innovative algorithms for cardiovascular diagnostics, especially for the measurement of central (aortic) blood pressure which is very different from the brachial (arm) blood pressure. The central blood pressure is directly affecting the brain and heart and therefore is responsible for the risk of strokes and heart attacks. Our algorithm is robust, reliable and designed to be integrated into standard blood pressure monitors in cooperation with device manufacturers. Those monitors can be used for regular monitoring by the patients at home. The rmw Kabelsysteme GmbH is specialized in assembly of electromechanical devices, cable confection as a service provider as well as creation of drawings for customers in the fields of medical technology, aerospace industry, machine manufacturers and transportation. Product quality and attainment of highest possible customer satisfaction are our top priority in the entire company. Ours strengths are high production flexibility, our ambition to meet the individual customer requirements and to provide and implement solutions also for small and medium-sized production quantities. The Certification of our company according to DIN ISO 9001, EN 9100 and UL-certification provides a solid foundation for our work. With its more than 170 employees, electricians, mechatronics technicians, toolmakers and engineers rmw has the appropriate size for almost all production requirements and operates as a supplier for over 200 national and international customers. Reliability, loyalty and respectfulness characterize rmw Kabelsysteme GmbH as prosperous business partner for all its customers and suppliers. 3. The production of microalgae and cyanobacteria in photobioreactors. All business units are united in dealing with plant-based raw materials, which are mainly used in the food, feed and cosmetic industries. In the field of algae biotechnology, Salata AG also deals with the downstream processing, the algae product development and the engineering of photobioreactors. On the research side, all of our products and processes are continuously improved. STORZ MEDICAL Deutschland GmbH is a 100% subsidiary of STORZ MEDICAL AG in Tägerwilen (Switzerland) and therefore part of the worldwide „Storz – Family“. STORZ Medical Deutschland GmbH originated from the AST GmbH, which was founded in Jena in 2005. The company works in the development, assembling and sales of shockwave devices for medical applications, especially in urology, orthopaedics, traumatology and pain therapy. The application of shockwaves as a surgery replacing therapy was introduced in urology for treatment of Urolithiasis (ESWL) in 1981 and further in orthopaedics and its related disciplines since 1992. STORZ MEDICAL Deutschland develops and produces dedicated and innovative shockwave devices for the worldwide use in the mentioned fields of application in Jena. Based on new research results it can be expected a diversification of the shockwave clinical application to totally new therapies for wound healing, cardiology and rehabilitation medicine in the near future. The Thuringian Institute of Textile and Plastics Research e.V. (TITK) is a material research institute for polymeric materials. As a business-oriented research institute, TITK does both preliminary and applied research in the industry-related field. The subsidiary, the Eastthuringian Material Testing Company for Textile and Plastics (OMPG), provides testing services, including testing of medical devices. As a close-to-market research organisation, the TITV Greiz is your partner for research, development, service, consulting, testing and professional training along the textile value chain. More than 50 employees develop high-tech solutions with the classic textile technology as the basis for new materials. The successful interdisciplinary cooperation with non-textile branches becomes more and more important for our institute. Especially the combination of electronics and textiles creates innovative textile products for completely new applications. Therefore, conductive thread materials and functional surfaces are investigated as well as the automation of component assembling on textiles, which are adapted customer-individual together with partners. The Vision2B GmbH develops App / Web-based, holistic therapy companion to support the self-management of chronically ill people. The Vision2B therapy companions are modular, cross-medial infotainment systems that combine many things: continuous, individual learning with intermediate evaluations, performance checks, monitoring and display systems. Some of Jena’s big names are world famous; companies such as ZEISS, Jenoptik and SCHOTT began their success stories here. The city is home to international corporations as well as many small and medium-sized businesses. Amongst others, Jena's innovative strength is demonstrated by the roughly 250 patents being registered annually (per 100,000 inhabitants, German average 59 p.a.). With more than 54,000 employees for 109,000 residents, a high gross value added and an export ratio of over 60 percent Jena is one of the most important hightech centres in Thuringia and Central Germany.